We are almost a month into the school year, and my combined 4th/5th ESL ELA class (that's a mouthful!) is running smoothly and efficiently. When I had a 3rd/4th combined class two years ago I used Daily 5 in the form of Daily 3, and when I found out I was teaching a combined block I knew I had to use it again. We do things a little differently around here...come and see! One of my goals for all my ESL classes is to read, write, speak and listen in every period. There are times when we do more of one than the other, but if I can get three in a day I consider it a success. I pull my 4th and 5th graders out of the mainstream ELA classes in order to provide more modifications. My class ranges in proficiency from level 1.5 (newcomer) to level 5.5 (almost-native speaker). 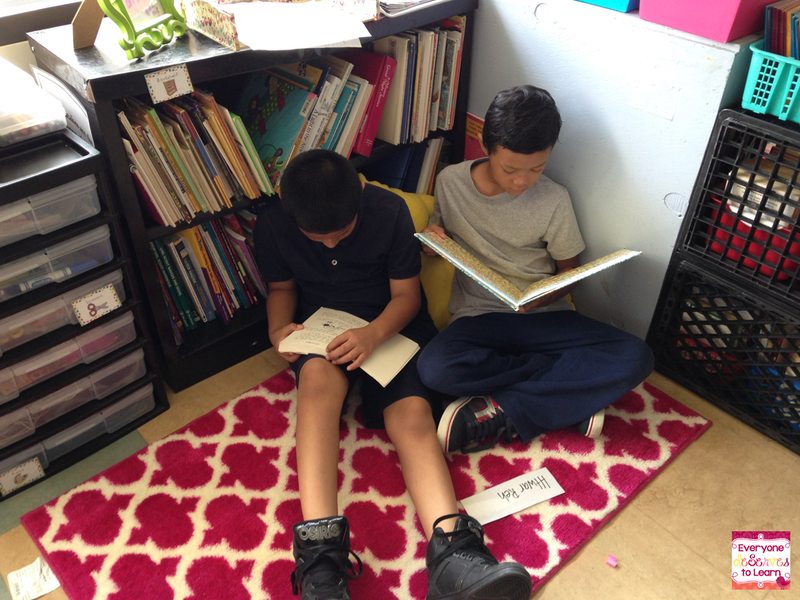 We recently adopted Foresman Reading Streets as our basal, however, the ESL department uses Fountas and Pinnell Guided Reading. When it came time to plan my scope and pacing guide I spent a lot of time breaking down the topics/sequence from Reading Streets Grade 4 and 5 into something manageable and approachable for my ELL's. I decided to keep the grammar and writing sequence from Reading Streets, while the comprehension and literary elements would come through the F&P books we read. Oh, and one more little, teeny, tiny thing...we do that while being almost completely paperless. 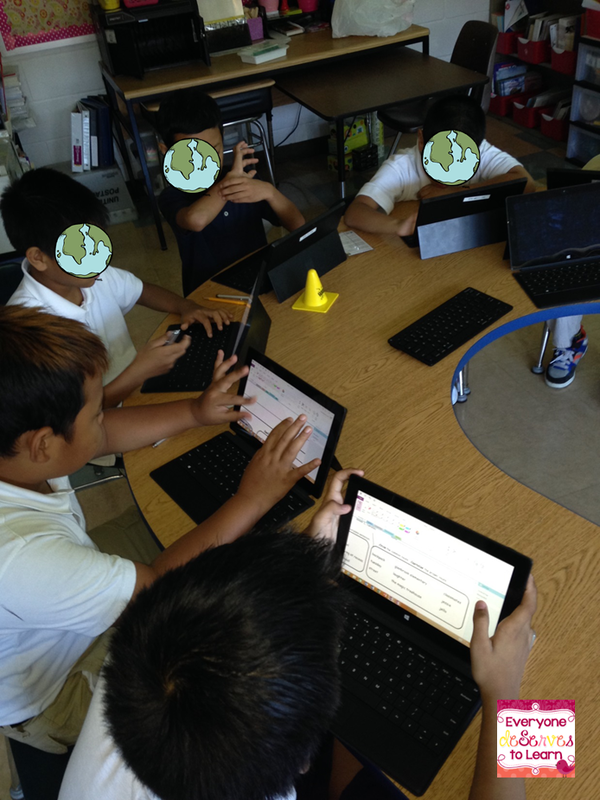 When my students enter the room, they immediately grab a tablet (Surface RT) and begin their morning work. 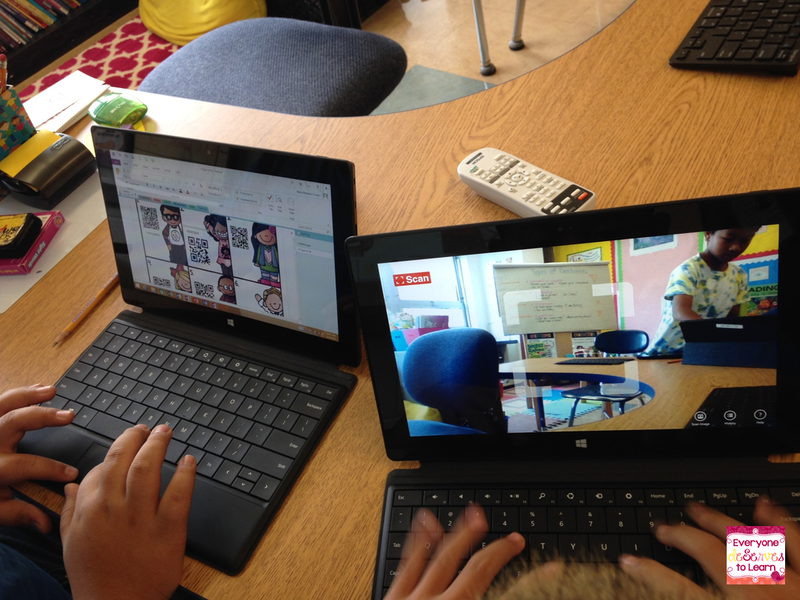 Each student has their own notebook on OneNote, which is a Microsoft Office program. I have the capability to edit and share any page from their notebook, and can project them onto my interactive whiteboard. When I want to assign work from a TPT pack, for example, I simply "print to OneNote" and choose the destination (a student's notebook) for the chosen pages. This is a great way to differentiate, since I can "print" appropriate proficiency level work directly into someone's notebook. Right after we Noodle we move into our reading groups and stations. I run 3 groups- low, medium, and high proficiency/F&P reading levels. 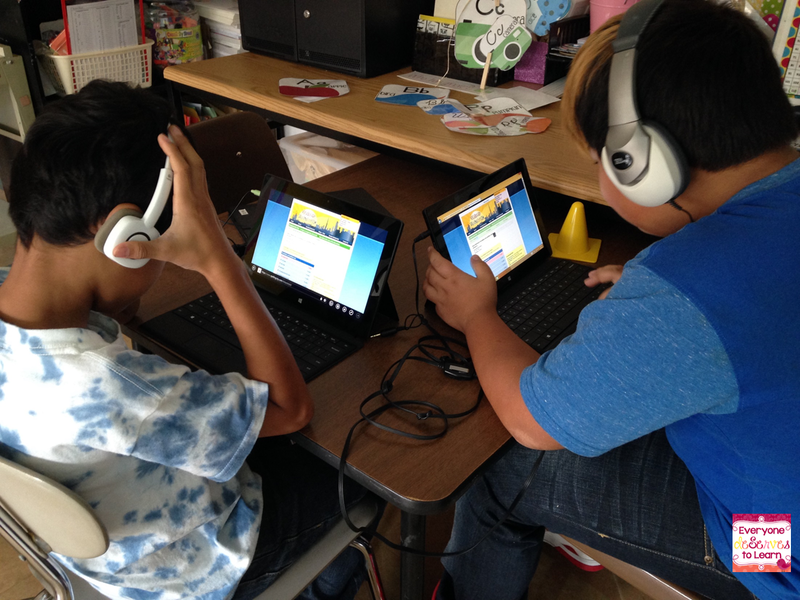 We use our tablets to take Cornell Notes about the books we read, and it's during those 12-15 minutes that I incorporate the literacy elements and other CCSS standards we won't hit as a whole group. On Fridays we review our Book in a Bag homework (seen above) together, which gives us an opportunity to review concepts and spiral the skills we've learned throughout the week. For Word Work my students use Spelling City. I have the premium subscription, so they have access to all the games and activities. This is another amazing place to differentiate, since I have 4 lists going on at once- all the way from the standard 5th grade Reading Streets list to Pre-K Dolch words. 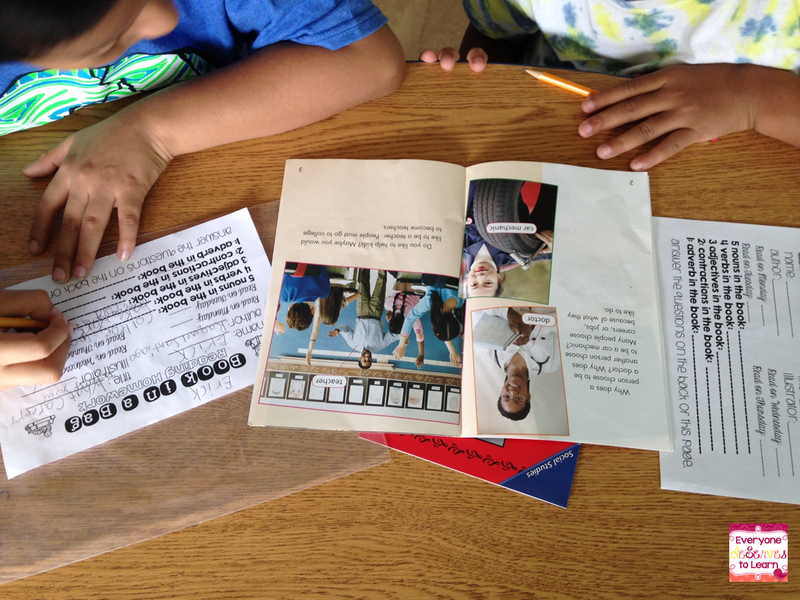 Once we finish reading groups we either work on grammar or work on writing as a whole group. 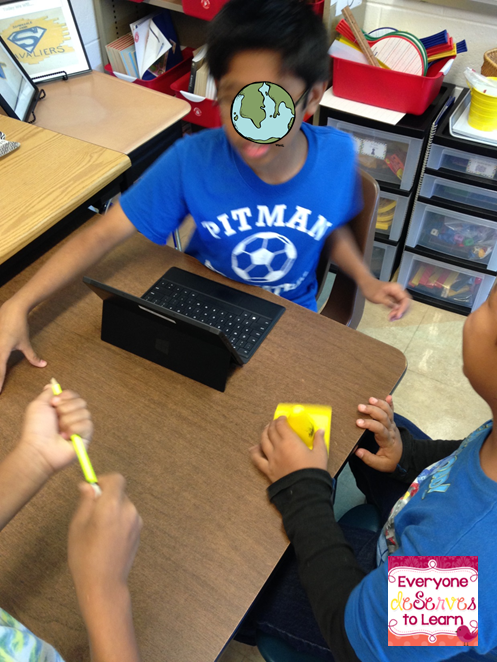 In the activity shown, we were reviewing the 4 Types of Sentences with QR codes. See- paperless! We usually have about 20 to 25 minutes left in the period, which is a perfect amount of time to introduce or review a grammar skill in groups/partners. It's not quite long enough for writing. but soon I will have writing as a choice for when students are done with Spelling City. And in case you were wondering, yes, they write on their tablets, too. I use Teaching in Room 6's Paragraph of the Week and simply "print" the week's pages into their OneNote notebooks. That takes us to the last few minutes of the period, during which we GoNoodle again or play a speaking game like Would You Rather, Two Truths and a Lie, or What Would You do. 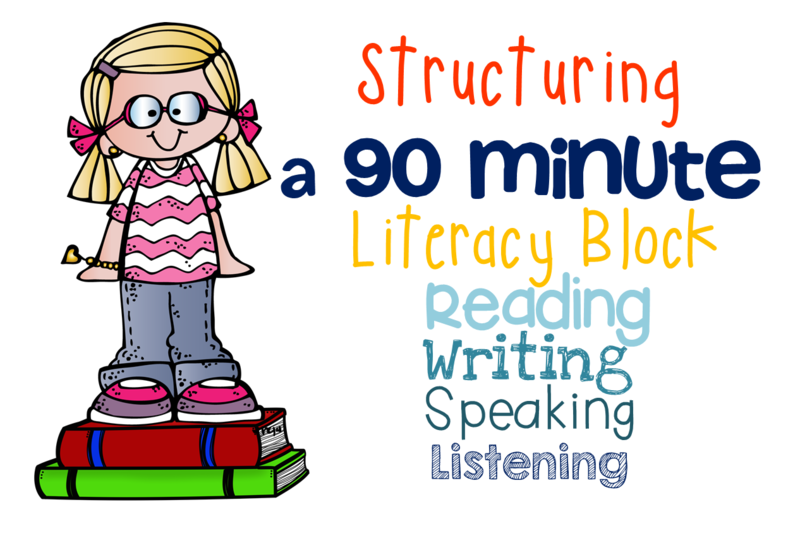 How do you structure your literacy block? Do you use a basal or readers? Let me know in the comments! This year marks the 4th year in a row that I've looped with some of my students. After having my loopers last year and in summer school, I noticed that we were having trouble working in groups. I attributed it to "sibling rivalry" since these kids are together in class and at home- they all live in the same apartment building. This summer I spent a little bit of time finding first-week activities that suited our needs- we didn't need All About Me worksheets, we needed practice working together. I implemented two of my favorites during the first few days of class and could immediately see the difference in their cooperation. 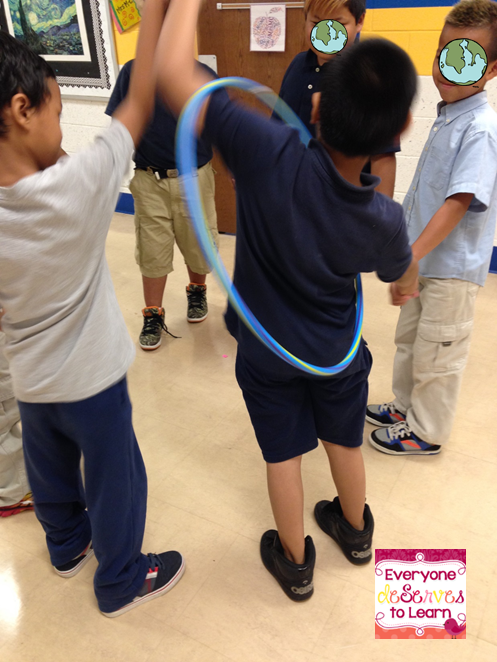 We started with a hula hoop activity. 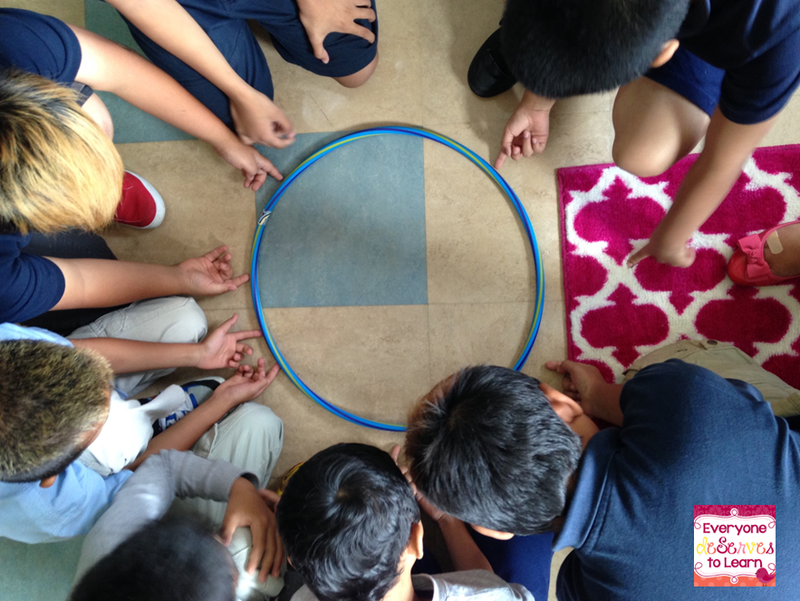 We placed a hula hoop on the floor, then used our index fingers to raise it to chest height. From there, we had to spin it until the tape marker was back where it started. This took quite a few tries, as some kids were faster to get up than others. After that activity we moved to the hallway and formed a circle. They had to hold hands and step through the hoop until it went back to the first person. I was so impressed with their technique- for students who wanted to go over the head, the last person would count "1,2,3" and then toss it up. This activity was a lot easier than the lift and spin one. I loved doing these back to back, because we were able to sit down and talk about what made things easier or harder. The next activity was "Save Sam." aka "Save Fred." As I've mentioned before, my goal is to get reading, writing, listening and speaking into every lesson or activity. The hula hoop activity was heavy on listening and speaking, so I decided to add a little more reading and writing to this lesson. After some research I came across Fearless 5th Grade's Prezi and scientific method worksheet, which was perfect for my students. The object of Save Fred is to get Fred (the worm) into his lifejacket (the lifesaver) which is under the boat (the cup) that has capsized. My boys all were yelling out "Easy Peasy!" until I told them they couldn't use their hands. I love surprising them. They worked in groups of 2 or 3 to complete part of their scientific method sheet and determine a plan for their experiment. Finally it was time to Save Fred, amid much shouting, laughing, and cheering. The following day we talked about working together, shared our scientific method plans, and discussed how each person contributed to the experiment. And then we ate gummy worms...possibly their favorite part? I'm positive that doing these experiments contributed to the a-m-a-zing teamwork I've been seeing over the past two weeks. My boys have really stepped it up in the cooperation department and I'm hoping it stays that way! 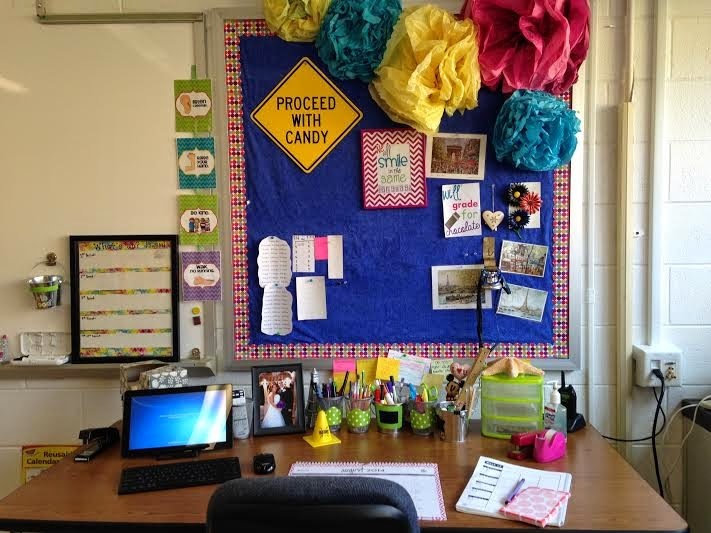 What do you do to build community in your room? 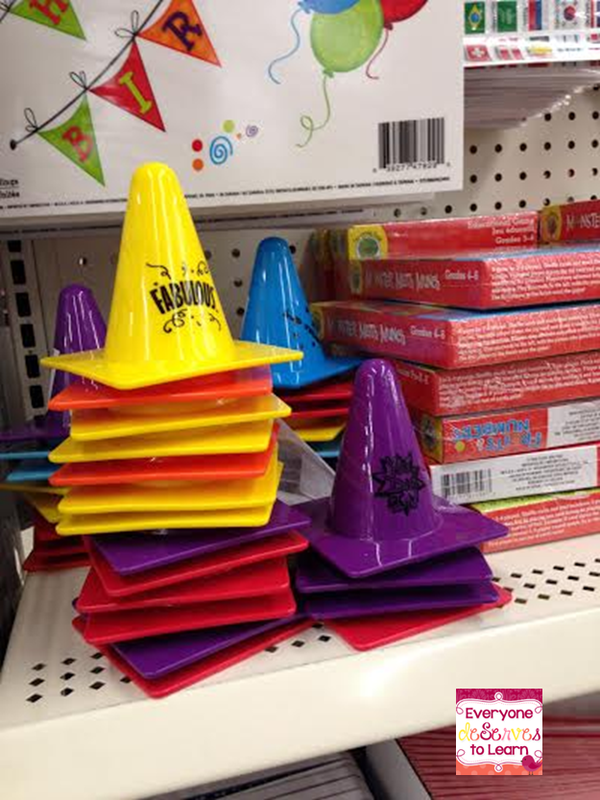 Step 1: Acquire a cone. Mine came from Dollar Tree. 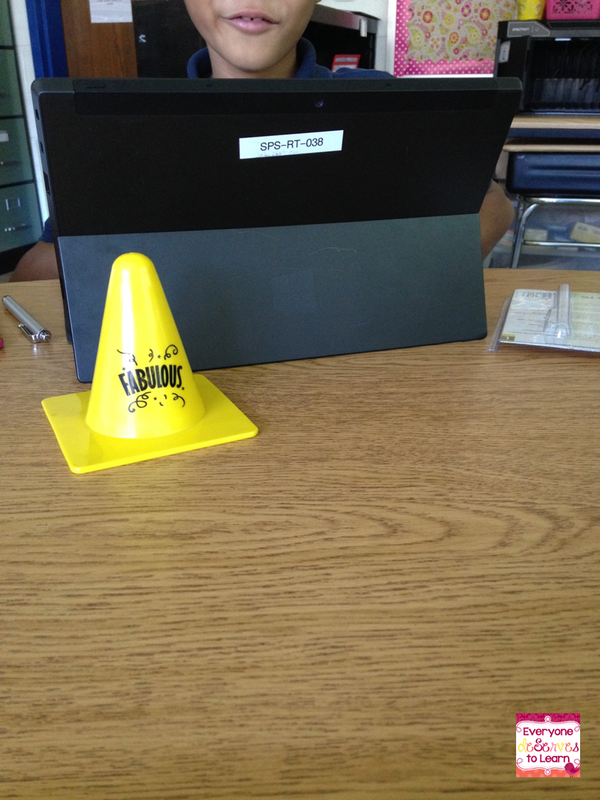 Step 2: Put the cone in front of a student you catch doing something "fabulous." I'll say something like, "Johnny, I love the way you got right to work- Faaabulouss!" and then I slide the cone over to him and watch while everyone else gets.right.to.work. Step 3: The student who has the cone at the end of the period gets to clip up. In my room, they clip up TWO TIMES! Hold the phone! 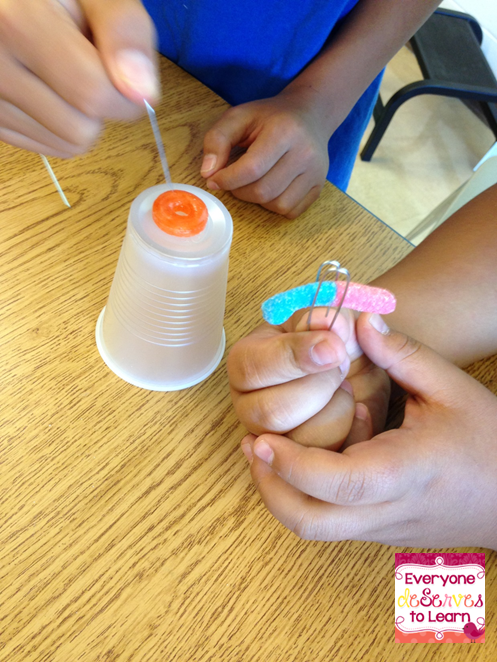 Step 4: When students reach the top of the chart, they can choose a reward. (I make them choose without looking...such fun!) 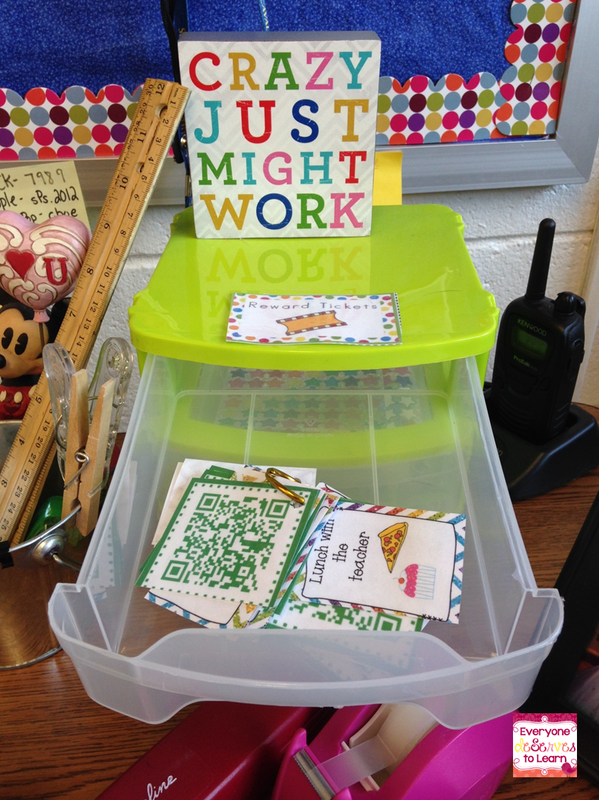 Adding the QR codes to the reward coupons brings a great sense of mystery. And there you have it! Easy peezy lemon squeezy. 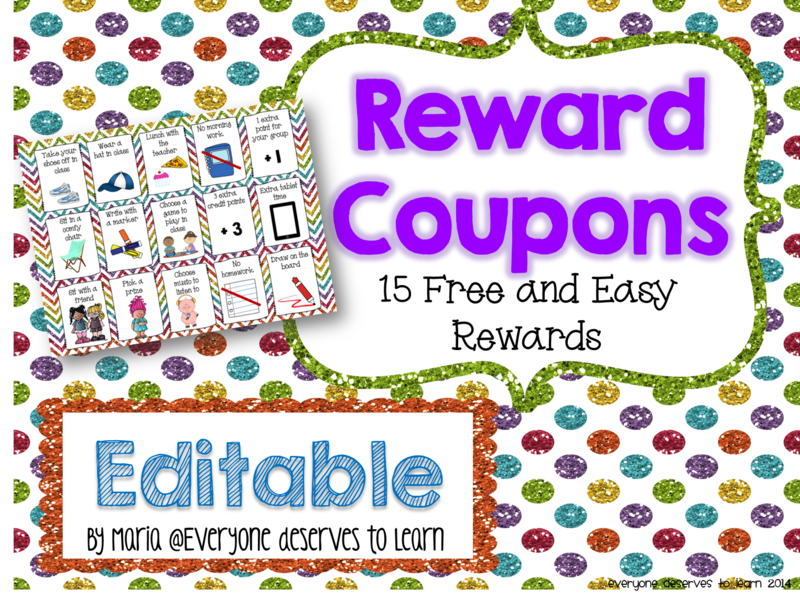 Let me know what you do to motivate your students and you could win my Editable Reward Coupons! I'll choose a winner by 9/18. 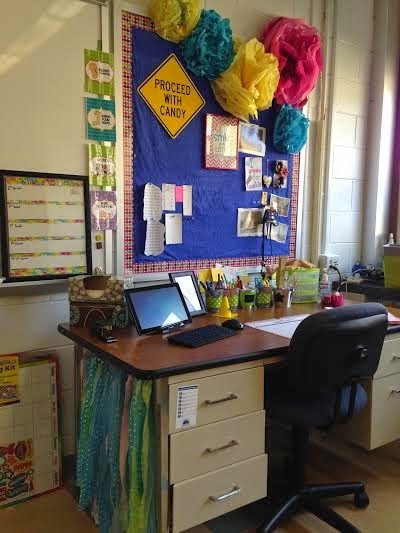 I'm so excited to finally reveal my classroom! I've been in this room 3 years and it really feels like home. I love how it turned out- come and see! Keep walking straight- you'll find my group reading area with library, easel, rocking chair, and clip chart. Make a left and you'll see my "new" reading area, which is just extra space I created by moving my desk against the wall. This is my writing/math/technology station. Our tablets are in a black docking station that we can't decorate...boo! One last look! The colorful wall in the back is a dividing wall that I covered with paper- I love how bright it is. My room always feels warm, even when it's dreary or cold out. Hope you enjoyed your tour- come back anytime! Hey friends! 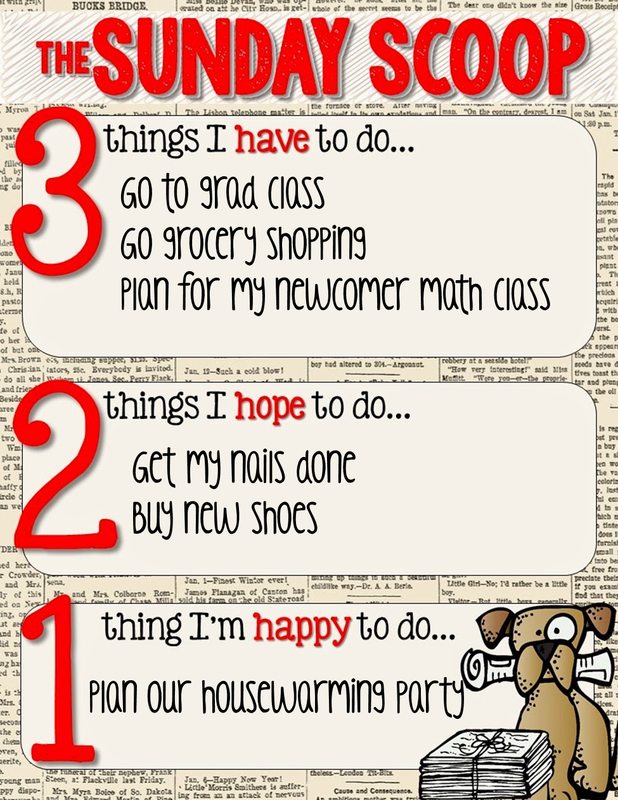 I'm linking up with The Teaching Trio for a new linky- Sunday Scoop. How fun! Last week was a doozy- school started, we had our first obedience class (Lacey's, not mine), we had a town council hearing about our fence (we won but it was an awful meeting), we had a make-up obedience class (because we were late. Really late) and I had my first grad class of the semester. So I am definitely looking forward to a slower pace this week! 3: I think the first two are self-explanatory, n'est pas? I am giving a placement test in my NC class this week to determine what math levels my kiddos are on, then we'll go from there. A few years ago I would have been tearing my hair out, not knowing what/how I would teach. But I'm much much calmer about it now...thanks to TPT! 2: So, we have a new rule at school: no shoes higher than 1 inch and no open feet (think gladiator style). My ballet flats which I wear Oct-April are fine, but I am out of options for warm weather shoes. So a-shopping we will go. 1. We are celebrating our 1 year anniversary of being homeowners, so we're having our long long long over-due housewarming. Yay for party planning!! What's your scoop? Link up with the Teaching Trio! Well, here we are. Labor Day. The last day of an empty 10 am grocery store. The last day of morning puppy cuddles. The last day of people-watching my neighbors. I totally do that. No judging, please. Instead, why don't you see what's on my mind? 1. My husband works from home, so he gets to spend every day with Lacey. She's definitely a Daddy's Girl. 2. I'm super-loving my #bts14 school clothes! I got a great deal at Loft the other day and really lucked out. I am going to start adding to my "administrator clothes" pile little by little, so these were a great start! 3. I'm having mixed feelings about going back. Not because it's the end of summer, but really because I'm ready to stretch my wings and see what else is out there. Because you know, the grass is greener on the other side. It is! 4. 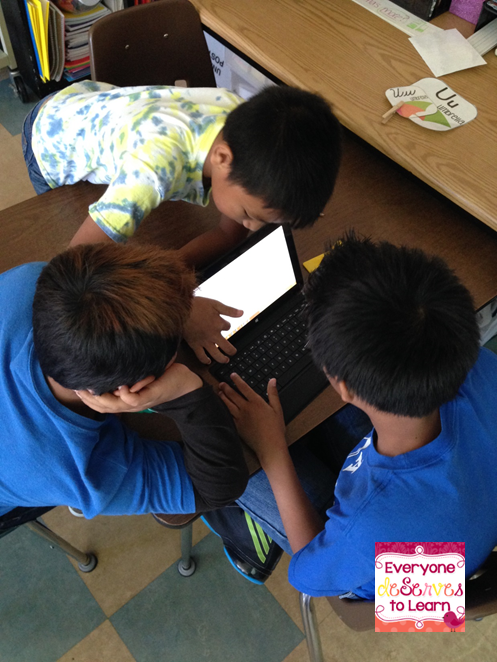 Everyone deServes to Learn is on facebook and it's kind of lonely out there! Come say hi! 5. I do a lot of running around on the first day or two of school. 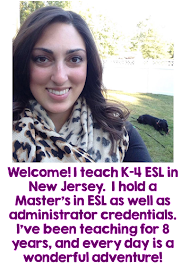 It's my responsibility to test all new possible ELL's who enter the building, K-8. I don't start my classes until Monday, even though we start school on Wednesday. It's a necessary evil. I don't do well with necessary evils. So calm, cool, and collected it is. Hopefully. 6. I've been so fortunate to have traveled to many wonderful places. Many cruises, Italy, Paris, Portugal, London, Hawaii...I really am a lucky girl. But I would love to visit Geneva, Sydney, and Dublin. I really would like to go to all the places in the world (except maybe not Antarctica. I'm kind of a warm-weather person) at some point in my life. An around the world cruise is right up my alley. So that's what's on my mind as we start a new school year. What's on yours? Link up with Fabulous Farley!